Recently Mike McKinley’s book, Passion, grabbed me. It’s a good read this time of year. 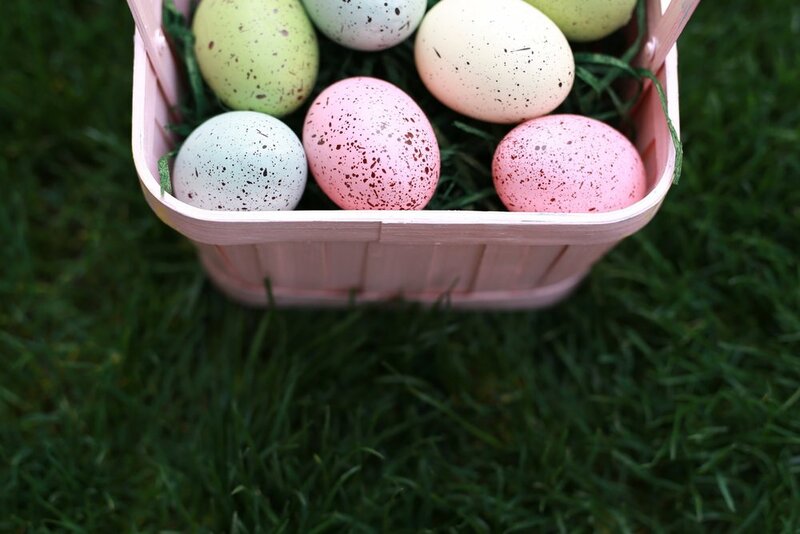 As you might have guessed, my blog title is about Easter. But it’s not what you think. Yes, I do have all my eggs in one basket. I am not referring to a basket of Easter eggs. My basket is the resurrection of Christ. The events leading up to Easter morning are discouraging; Jesus was given a kingly welcome into Jerusalem but then executed on a cross. His followers were scattered and scared. Death was not what they expected. Paul said “…if Christ has not been raised, then our preaching is vain, your faith also is vain.” If there is no resurrection then there is no forgiveness, no life after death, and nothing to live for except self (cf. Acts 2:22-24; Rev. 1:18). But Easter changed everything. Jesus was resurrected and details of the story confirm it. Jesus was raised. All my eggs are in one basket. I am betting on Christ’s resurrection. McKinley lists three ways the resurrection changes everything. First, for the believer you have the guarantee of being “saved from eternal death, for eternal life.” The resurrection is an act of God showing the Father has accepted Christ’s death in our place for our sin. We are secure in Christ forever. Second, you don’t have to live like this life is all there is. “If we have hoped in Christ in this life only, we are of all men most to be pitied.” (I Cor. 15:19) But believers are free to give their lives away. Don’t waste your life on sinful desires, getting your “dream house,” or becoming successful. I am not advocating doing nothing until the rapture. But give your life for the cause of Christ in some way. Commit to helping others and sharing the gospel. And, most of all be part of God’s program for this life, the church. There is nothing else like it. 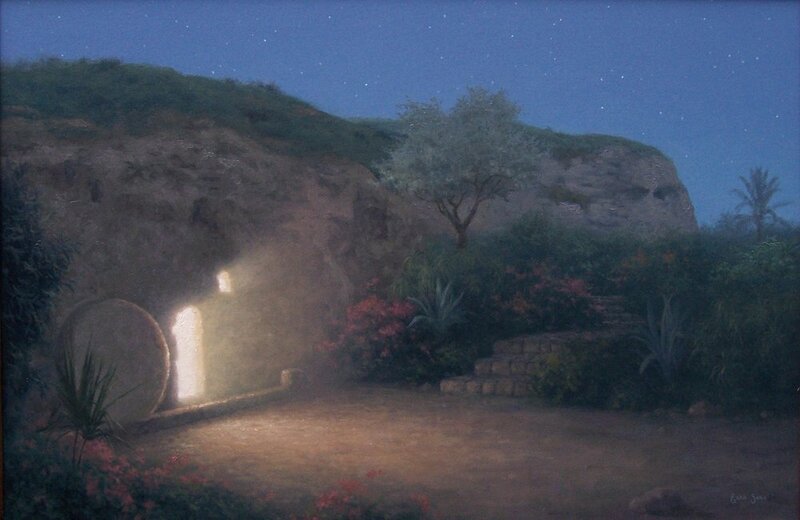 Third, because of the resurrection you have an ever-present Savior. His Holy Spirit was sent to be with us and empower us for whatever He wants. That is so comforting when you are alone and unsure. You can call on Him for wisdom, direction, comfort and know He hears. Such a deal, all this and heaven too! This is one of my favorite paintings done by my son Ezra the artist after he returned from Israel where he visited the garden tomb site where Christ was taken and later resurrected. How about you? Where are your eggs? Unsure about the resurrection or why it is so critically important? Whatever your situation why not join us Easter weekend as we celebrate and learn more of the story. Subscribe to our blogs at www.DiscoveryBaptist.org, See details also of our building expansion project to start soon entitled For the Generations to Come. Click below for more details. You can also call the office for a complete packet of information to be sent to you or ask for a board member to talk to about it. Learn about our major building expansion by clicking here.